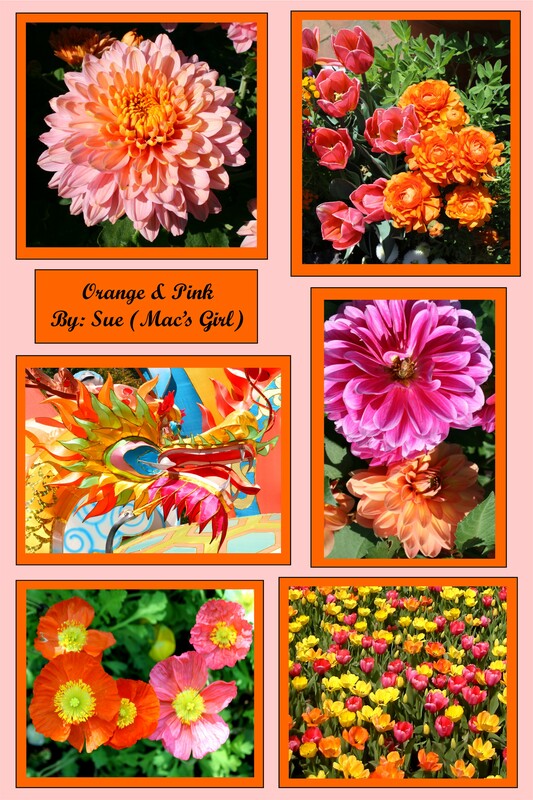 This week, Cee has chosen orange and pink as the color combination for her Fun Foto Challenge. Not such an easy task when trying to track down both colors in one picture. Thanks, Cee! This one turned out to be quite a challenge! It is rather an eye-catching color combination, isn’t it, Tom. Lovely colours. The dragon stands out for me. Thanks, Gavin! We saw the dragon at the Chinese Lantern Festival in St Louis and I thought it fit in rather nicely with the flowers in this set of pictures. It does. i’d like to see mor eof the Dragon though! Do you know the only word that sums your photos up is what everyone else has written! WOW! !